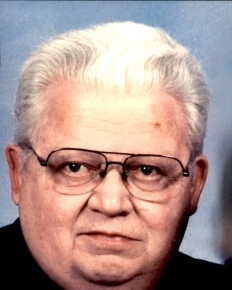 Howard Leroy Keller died peacefully on November 16, 2018 at Page Rehabilitation an Healthcare Center in Fort Myers, Florida at the age of 92. Howard was born on December 31, 1925 in the Danish community of Askov, Minnesota to Marie Jensine Madsen Keller and Olaf Rye Keller. He attended public schools in Askov and Winona before graduating from high school in San Antonio, Texas. After high school he served in the Army Air Corps during WWII. Following his Air Corps service he attended Winona State College and the University of Minnesota, graduating in 1950 with a degree in Architectural Construction. He married Alice Ann Stewart in 1954. Howard was a general contractor and developer in Winona for over forty years, owning his own construction and development companies. He served the Winona community on many civic boards and was the 1989 recipient of the Winona Chamber of Commerce Community Achievement Award. He also served as Past Master of the Winona Masonic Lodge. Howard is survived by his wife, Alice Stewart Keller; his children: Jim (Lisa) Keller, Plymouth, Minnesota; Julie Keller (David) Pease, Topsham, Maine; Nancy Keller (Steven LaRosa), St. Albans, Vermont; and Carole Keller, Chicago, Illinois; and grandchildren Andrew, Paul and Grace Keller; Evan and Alison Pease; and Elizabeth and Samuel LaRosa. He was preceded in death by his parents, his sister Florence Ries, his brothers Roland and Chris Keller and nephews Ronald and David Keller. A graveside service at Woodlawn Cemetery in Winona will be held at a later date. Memorial contributions may be given to the Winona Historical Society, 160 Johnson St., Winona, MN 55987, the Winona Public Schools Foundation, 1570 Homer Road, Winona, MN 55987, Peace Lutheran Church, 15840 McGregor Blvd, Fort Myers, FL 33908 or Hope Hospice, 9470 Health Park Circle, Fort Myers, FL 33908. Harvey-Engelhardt of Fort Myers, FL are handling the arrangements.